Austin Presbyterian Theological Seminary is a school of the church. Each of our four degree programs is designed to serve the church and its ministers in a specific way. The essential skills for a lifetime of ministry are woven into the Master of Divinity curriculum. Theology, biblical studies, ethics, world religion, pastoral care, preaching, worship, Christian education, and mission and evangelism are combined with practical ministry experience in real-world settings. You will graduate equipped for imaginative and winsome leadership in a variety of pastoral contexts. 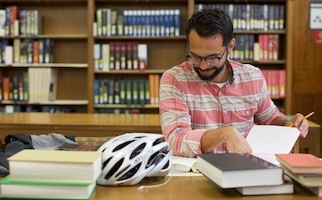 Whether you are considering a lay leadership ministry within the church, involvement in a service organization, or you are already serving in ordained ministry in your tradition, this two-year degree will equip you for Christian leadership through a combination of classroom study and practical experience. You will focus on effective communication skills, proficiency in the pastoral arts, and growth in spiritual maturity. Whether you are considering a career in teaching or want further graduate theological education, this two-year degree will deepen your understanding of the Christian faith and enhance your research and leadership skills. Focused around reflection and study, this degree program allows for concentrated study in a single discipline. retreat-based master’s-level classes, immerse you in practical experience in local youth ministry settings, and nurture you through coaching and peer-to-peer interaction. Our DMin program allows students to deepen and enhance their practice of ministry through concentrated study in an area of their own interest. Our program is designed for ministers with three or more years of pastoral experience. Students in the DMin program take courses in a particular area such as Christian spirituality, preaching and worship, theology, or chaplaincy. The program culminates with a student-designed research project, undertaken with the supervision of one of Austin Seminary’s faculty members, on a topic relevant to the practice of ministry. For more detailed information, go here. 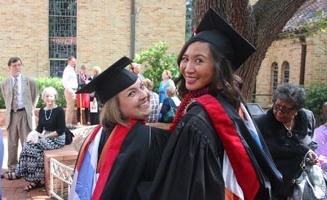 This program provides master's-level students the opportunity to complete requirements for two degrees concurrently: The Master of Divinity (MDiv) from Austin Seminary and the Master of Science in Social Work (MSSW) through the University of Texas at Austin School of Social Work. The program is designed to be completed in four years of full-time study. Students will receive degrees from both institutions. Students must be accepted into both programs independently, meeting each institution's admission criteria. As much as possible, the program of study will be tailored to meet students' individual vocational needs as approved by an oversight committee. The Certificate in Ministry is a program for church leaders and others seeking substantive theological education but who are not planning to pursue study in a degree program. Seven courses are required to complete the certificate program. El Seminario de Austin ha diseñado esta serie de cursos para abordar los intereses de los estudiantes cristianos adultos en temas clásicos teológicos. Algunas personas que buscan ser comisionados como Ancianos Gobernantes Comisionados en los presbiterios de la Iglesia Presbiteriana (U.S.A.) pueden encontrar que estos cursos cumplen los requisitos de su presbiterio para este tipo de educación. Vaya aquí para más detalles. 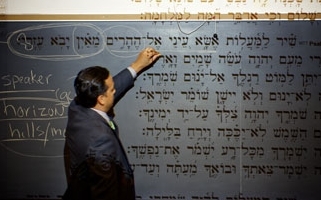 Austin Seminary provides educational opportunities for persons to enroll in seminary course work for academic credit. Special Students are not enrolled in a degree program, but register for master's-level classes on a per course basis. This program is designed primarily for persons interested in beginning study toward a first theological degree and lay persons who want to deepen their own theological understanding. Students wishing to transfer from another accredited seminary must fulfill the requirements described within the program into which they desire to transfer. In addition, the applicant should submit a letter of dismissal from the president or dean of the seminary previously attended. Up to 48 credits may be applied toward the MATS degree; up to 92 credits may be applied to the MDiv degree. These credits include those earned at other theological schools and those earned as a Special Student at Austin Seminary. International students wishing to transfer from another institution in the United States to a degree program at Austin Seminary, in addition to the requirements noted above, must be in good standing both academically and under the provisions of their visa.